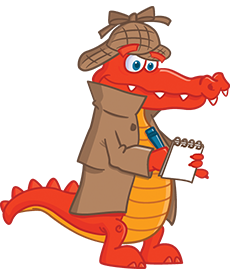 Following our policy of full transparency and also in order to fully comply with the Federal Trade Commission’s 16 CFR, Part 255: “Guides Concerning the Use of Endorsements and Testimonials in Advertising”, we would like to take a minute (or two) to disclose the reasons we built and maintain Alistgator.com. We built Alistgator.com for fun. Our goal is to excite, entertain and, hopefully, educate! But, as with all things in life, maintaining Alistgator.com costs both in terms of money and… time. We have staff writers that we have to compensate, server costs to keep up with and bills to pay! Thus, we need to make money in order to keep going. We do that by displaying ads in the header, sidebar and single posts of Alistgator.com. We may also monetize some lists with affiliate links. What this means is that if you click-through such a link and you place an order with the site we referred you to, we get paid a commission. That is, without ANY extra cost to you. We also want to stress out that any products or services we may refer you to have our full endorsement. We will never link to subpar products since a) we hate them just as much as you do and b) we do not want our brand name endorsing subpar products; it’s just bad business!